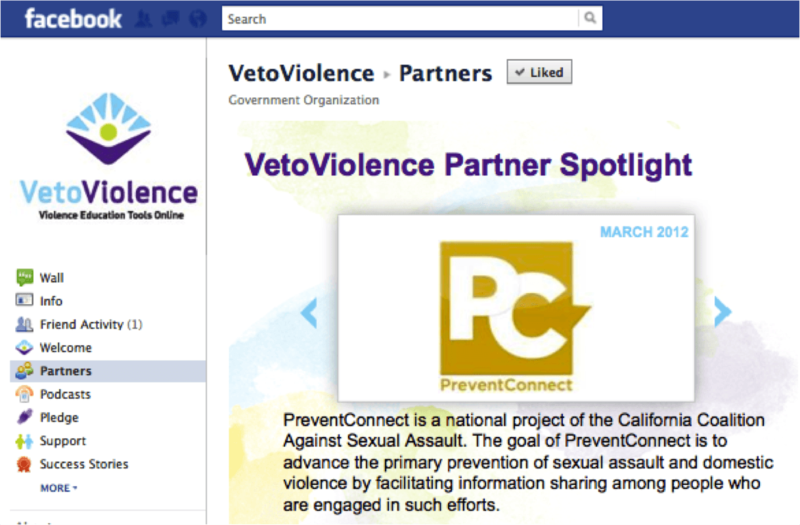 PreventConnect has been named the partner spotlight for March 2012 by the Center for Disease Control and Prevention on its VetoViolence Facebook page. PreventConnect, a national project of the California Coalition Against Sexual Assault, is an online community dedicated to advance the primary prevention of sexual assault and domestic violence. CDC supports this project and is a valuable partner to strengthen our prevention efforts.